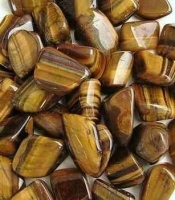 Healing Moss Agate crystal tumbled stones, large, polished, 20-25mm minimum size. A stone for new beginnings and de-stressing. Birthstone for Gemini, Cancer & Virgo. FREE UK Delivery by Royal Mail 2nd Class. Appearance: Not all of the stones have a transparent moss-like appearance, some are completely opaque. We offer a high quality crystals, however, it is not unusual for Moss Agate to have some tiny surface flaws. Your Tumblestone will include some information about the healing properties of Moss Agate, as below.